The Power of Hypnosis for Weight Loss Revealed! – Six Pack Abs Guide! The Power of Hypnosis for Weight Loss Revealed! Needless to say, hypnosis is now one of the trends in weight loss thanks to a segment about the topic in The Doctor Oz Show. Of course you’ve heard this and probably think that the idea is absurd. However, hypnosis for weight loss might be the answer to what many people are searching for in terms of fast and effective weight reduction. This fact is verified by Dr. Oz and numerous experts. Listen to this. Dr. Oz stated in his show that hypnosis can be useful to prevent over eating which is the main problem for people who are trying to lose weight. Paul McKenna who is a best selling author in Great Britain demonstrated his way of using hypnosis for weight loss. He also has a Ph.D. in human behavior and is a well-known international television host. Fact! According to McKenna, food craving is a behavior that is learned thus it can be unlearned. Moreover, he believes that the mind can be reprogrammed so that the person would eat less, resulting to weight loss. This statement is supported by Shlomo Vaknin, a certified hypnotherapist and Neuro Linguistic Programming master practitioner. 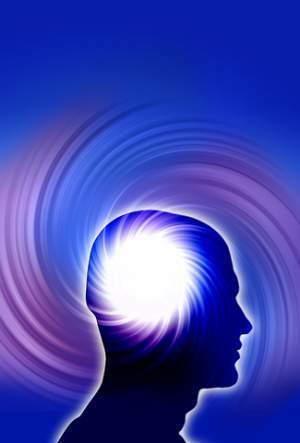 Interestingly, hypnosis is a natural state of mind that everyone experiences daily. Whenever a person “zooms out” he/she is in a state of hypnosis. You won’t believe this one! Many studies have already proven that it is a natural state wherein the subconscious mind can be accessed. Since this is where memories, habits and beliefs are stored, being able to access this state means that habits can be modified for whatever purpose such as eating less or quitting smoking. Just plain awesome, isn’t it? Want more proof? According to McKenna, there are two patterns that prevent people from losing weight. Now listen closely! He claims that hypnosis is an effective tool to modify these patterns for the goal of weight loss. The first pattern is emotional eating. This is the problem of most people who are overweight. They use food to fill a gap in their life and make them feel good temporarily. The second pattern is obsessive dieting. Some people jump from one diet to another but always fail to stick with it thus weight loss is not achieved. Okay, let’s talk about the pros of hypnosis for weight loss. The main advantage of using hypnosis for weight loss is that it is neither a magic trick nor a myth. Hypnotherapy deals with reasons why the patient is overweight. Usually, when these reasons are properly dealt with, the problem is permanently solved and the result is weight loss. To stress again, hypnotherapy basically promotes permanent lifestyle changes. Another advantage is that hypnosis is non-invasive and very safe as long as it is done under the supervision of a qualified hypnotherapist. Hypnotic therapy is also very individualized wherein sessions are adapted according to the particular needs of each patient. This is one of the reasons why it has a high success rate. Let’s face the fact that there will always be cons. We can see that the main disadvantage of using hypnosis for weight loss is the lack of statutory regulation of hypnotherapists. As a result, there are many unqualified and even deceitful practitioners who are just after other people’s hard-earned money. Now read these facts very carefully. Another disadvantage is that hypnotherapy is not recommendable for people with epilepsy and serious psychological disorders such as post-traumatic stress disorder and split personality. Additionally, the process takes a lot of work and is definitely not an instant miracle solution. Hypnotherapy for weight loss may not work for everybody. The most important facts are out, folks! Weigh the pros and cons. You be the judge of this benefit! Have you tried other alternative methods to losing weight? Share them with us through the comment box below.